I just recently did a post on my top 5 scents that I will (and have been!) reaching for this spring. 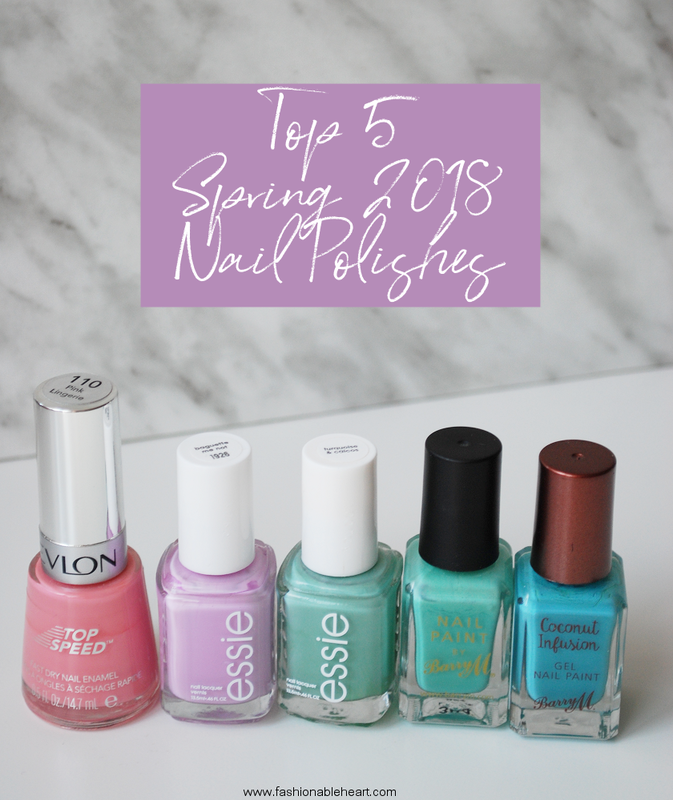 I love doing these little Top 5 posts and I'm not sure why I ever stopped doing them so many moons ago, but I'm going to try to remember to put a few up every now and then. I hope you like them too! Once spring comes, a switch goes off in my brain that I want pastel nails. All the pastels. I think it's simply because I practically live in darker colors in fall and winter and just crave a lighter change! So this post is heavy in pastel colors and it's totally okay if those aren't your "thing". I get it! Let me know what your favorite polish (or shade) that you reach for when spring hits! Revlon Pink Lingerie - A beautiful pink and this formula is so nice. 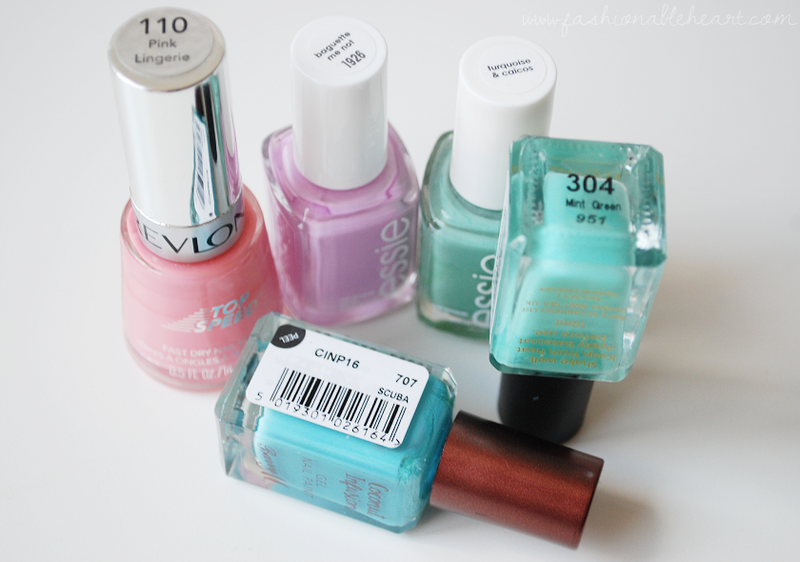 Revlon polishes deserve more spotlight! Essie Baguette Me Not - One of my absolute fave purples! It was from their summer collection last year, but you can still find it online (and maybe in stores?) and I highly recommend it if you love lilac. 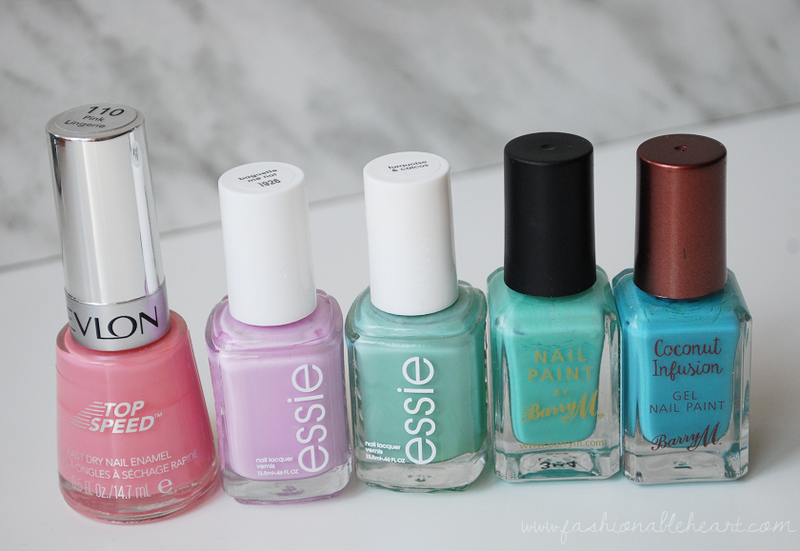 Essie Turquoise & Caicos - A light turquoise that I think would suit just about everyone. Barry M. Mint Green - I've had this one a while now and it never gets old. It's not far off from Essie's Turquoise & Caicos, but slightly deeper in shade. If you can't find one, get the other and you'll hardly notice. Barry M. Scuba - This formula...saying I love it would be an understatement. I want all of the other shades! It is glossy and doesn't affect my nails as much as some other polishes can. And this color! Scuba is such a perfect bright blue.